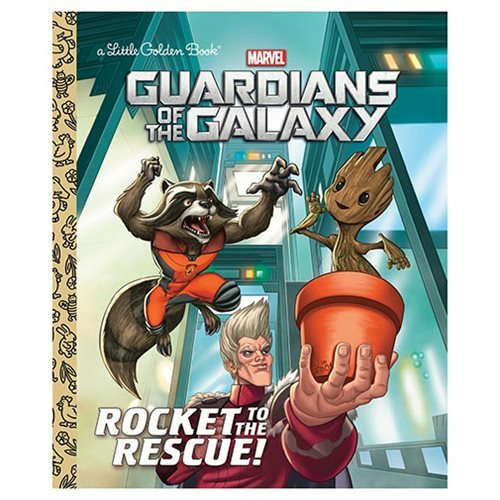 The Guardians of the Galaxy Rocket to the Rescue Little Golden Book tells the story of the Guardians of the Galaxy racing through the universe on a rollicking adventure. This action-packed Little Golden Book features some of everyone's favorite Marvel superheroes and villains! The 24 page book measures about 8-inches tall x 6 3/5-inches wide. For all ages.